FTDNA and WorldFamilies.net are not the same company, but we work together. Our learning evolved into the World Families Network in early 2004, when we created a website to help other Surname Projects by sharing our learning and providing a place to find general information. This was initially a passive helping through information and an offering of a free site to support surname projects with no internet website. Since late 2004, we have been supporting projects to help more families have the same opportunities we have enjoyed. What Do We Do? Why Do We Do It? Why Do We Work With Family Tree DNA? What? For the project administrators, we provide free websites to display test results, family pedigrees, and shared information. There are also forums for family discussions. We provide any level of help desired, from doing all the posting and administration, to sharing some tasks with the administrator while he/she learns how to administer a project, to simply providing the website and the tools for veteran administrators, who take care of everything else. We are here to answer questions, as needed, and offer tips to help your project be a success. To learn more about administering a project at Worldfamilies.net: click here. See our guide to DNA testing DNA The Smart Way. Why? This website grew out of our passion for genealogy and the knowledge we have gained as successful surname DNA project administrators since 2001. Since 2004, we have been offering our services to surname projects: sharing project administration tips and resource information, and by providing free websites. The hobby grew into a business, as the interest and enthusiasm for genetic genealogy has exploded. We provide this service at no cost to you. You pay the same price for any DNA test at FTDNA - whether we are involved with you or not. 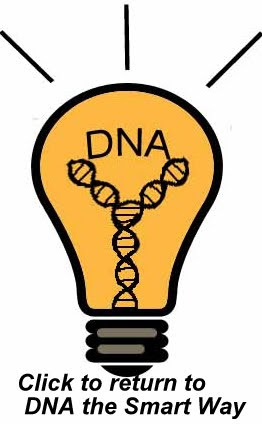 (ordering through a project is cheaper for some tests than ordering from FTDNA's main page - so we do encourage you to order through a project) We receive compensation from FTDNA, which allows us to continue providing this service. It is still a labor of love, however, as the best rewards for hours spent at the computer is helping an individual or a project make a connection through the use of genetic genealogy.